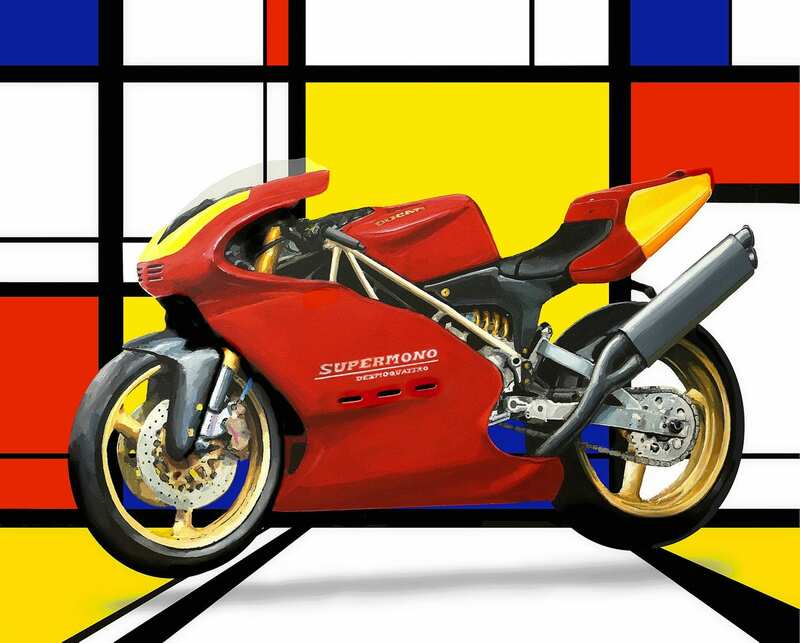 One of the most collectable Ducatis of any era (only 65 Supermonos were built by Ducati between 1993 and 1995), the Ducati Supermono is a lightweight, single-cylinder race-only bike with many technical innovations that strongly influenced the design of the 916. The single cylinder Ducati racer was built with power to weight in mind. Carbon fiber pieces included bodywork, sub frame, fuel tank, rear sets, airbox and instrument housing. Magnesium was used for case covers, chain adjustment covers and triple clamps. Dry weight was 267 pounds (121 kg). 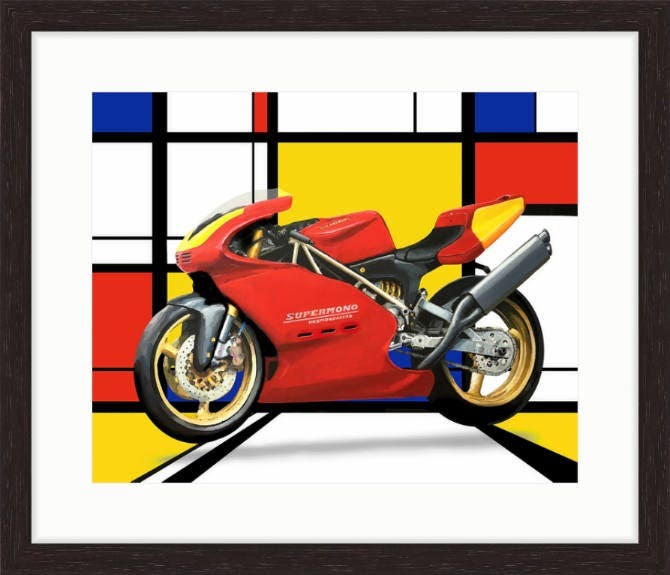 A Mondrian backdrop and the 'floating' composition emphasizes the minimalist nature of Ducati's spartan racer, which was completed by the artist using Acrylics and Inks on Canvas. Prints of the original artwork are available on both canvas and premier heavyweight paper.